Create a show-stopping pitch deck with our professionally-designed investor Pitch Deck template today! Appeal to investors or sponsors with a visually captivating pitch deck. With the Red Investor Pitch Deck you can design a pitch that investors won’t forget. The Red Investor Pitch Deck template can be completely customized and it’s easy to edit within minutes. You have the freedom to edit the layout, colors, images, text, icons, bar graphs, font, and background style. To make the Red Investor Pitch Deck fit your business model you can also upload your own photos or insert pictures, images, and icons from our large gallery. 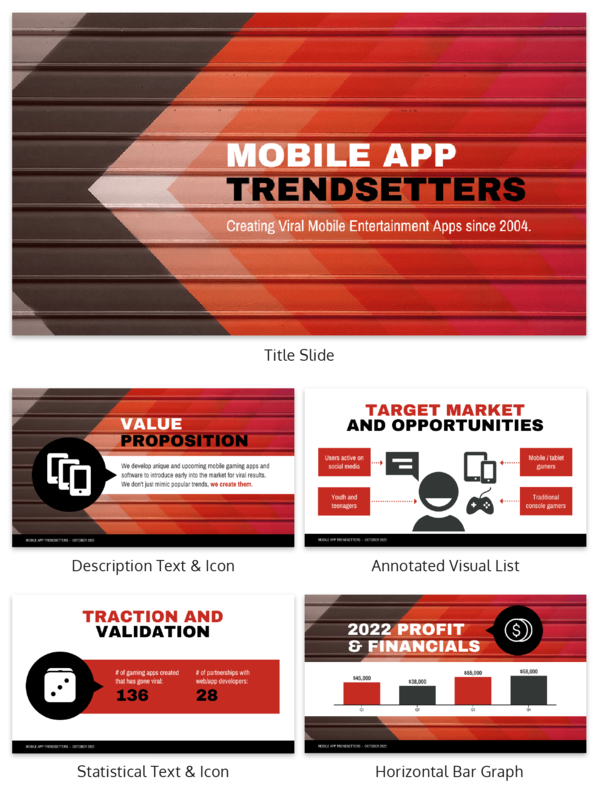 There’s nothing you can't do when it comes to the Red Investor Pitch Deck template.